Medihemp CBD Capsules. Organic CBD capsules with 12,5mg cannabidiol per capsule. These capsules contain Raw CBD, the total value is 12,5mg CBD distributed over CBD/CBDa in the usual ratio. 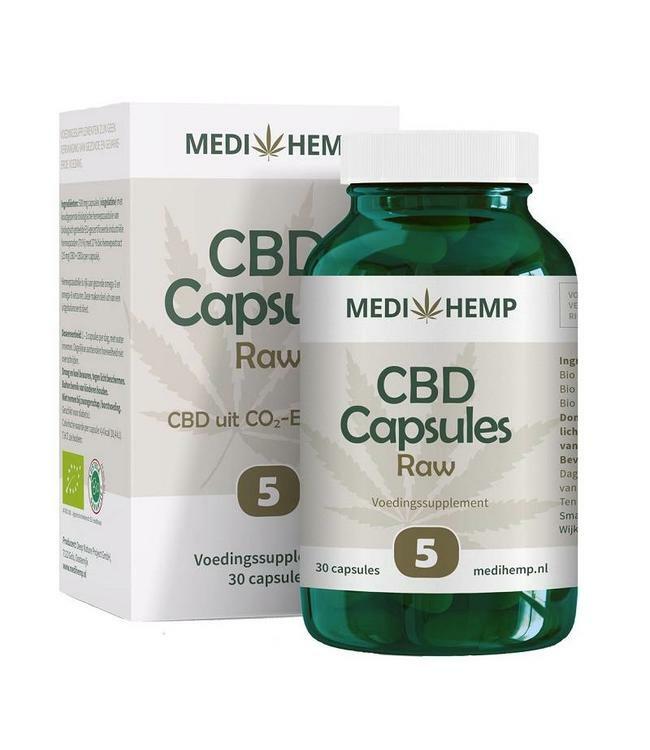 The capsules and the hemp extract in the Medihemp capsules are org Read more..
Medihemp CBD Capsules. Organic CBD capsules with 12,5mg cannabidiol per capsule. These capsules contain Raw CBD, the total value is 12,5mg CBD distributed over CBD/CBDa in the usual ratio. The capsules and the hemp extract in the Medihemp capsules are organic and 100% vegan. Organic hemp seed oil with a maximum of 12.5 CBD + CBDA per 500mg capsule. Each capsule contains 85% hemp seed oil and 15% hemp extract, obtained by gentle CO2 extraction. With a ratio of almost 1:1 between CBD and CBDA. Hemp seed oil, hemp extract. Contains approx. 12,5mg CBD/CBDa. Store the product in a dry cool place. Take up to 2 capsules per day with sufficient liquid. Do not exceed the recommended daily dose.